Originally hailing from Belarus, Irina arrived to NYC in her early 20s. Her background as a classically-trained musician and dancer set the stage for a love of the arts. Her adopted home has been an excellent playground for her love of discovering new talent and telling stories. She is a co-founder of FictionLab and connoisseur of many different genres of music, but for the past 15 years, her passion has been for electronic music. 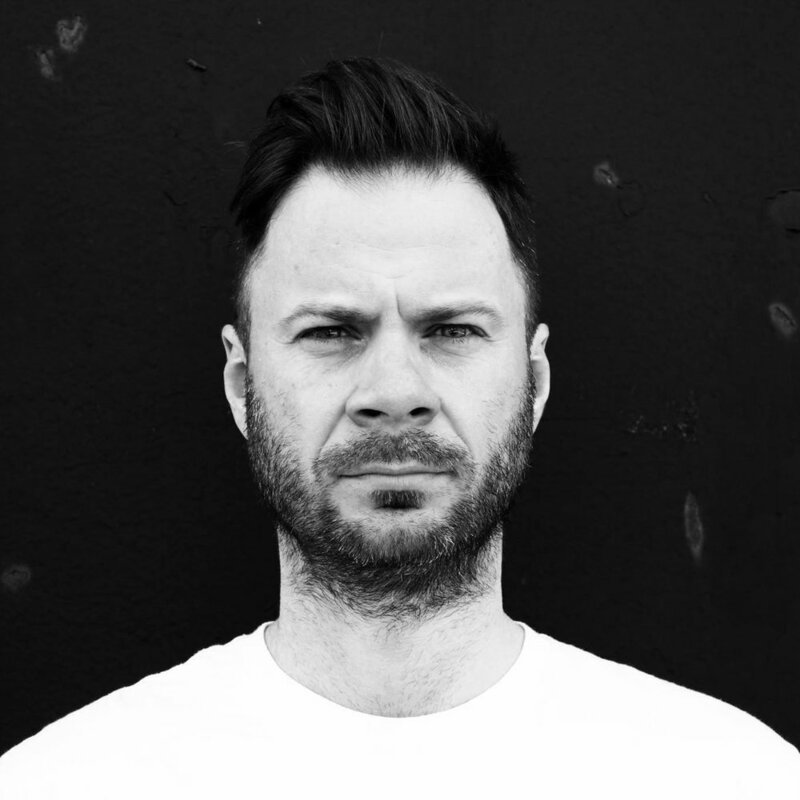 Gilles is a co-founder of NY’s underground promoting team Fiction, which creates exceptional intimate events for the discerning dance music lover, combining the most innovative music with top quality sound and theatrical production. He’s also co-founder of Fiction Lab, music platform whose goal is to connect NY underground scene with talent from across the world and to present what is popular in underground electronic music. After almost two decades behind the decks, the Australian born, Brooklyn-based selector Joe Foxton has amassed a vast collection of electronic music from house & techno to ambient & leftfield material. In 2014 Joe founded the acclaimed New York based event series Fiction alongside Steve Graham, Gilles Wasserman and Irina Kotik. It has become a haven for discerning dance music lovers and scene veterans. Steve is no stranger to the ever-changing tides of the underground music scene. From his initial stomping grounds in Tampa, Florida to his current home here in New York, he has always managed to leave his footprint on the scene wherever he has been. Since relocating to New York in 2012, Steve has surrounded himself around some powerful entities and talent including San Francisco’s Listed Productions and Cityfox NY. In 2014 he co-founded Fiction with Joe Foxton and began to put his stamp on the NYC music scene. Originally from the land Down Under, Isabel lives in Brooklyn and is a regular contributor to FictionLab as well as running our Australian division covering the latest in Aussie underground talent. A long time lover of deep house and techno, Isabel combines her knack for writing with her passion for quality beats, magical sets and spectacular dance floor moments. When she's not putting words together for us, you can find Isabel working as a music publicist for world-class festivals, artists, promoters, and nightclubs. Not content with being merely a left brain-er, Slav Ka has searched for a creative outlet of his right brain activity and found it with electronic music production and DJing. Self-taught and curious by nature yet anchored by the experience of a life long music aficionado, his sound attempts at walking the line between playful experimentation of a novice and rigid demands for dance orthodoxy of a jaded raver. Jelena’s affection for music is like a golden thread which weaves its way through her entire life. It is a veritable sound journey where passion and purpose intersect in manifold ways - be it as a teenage collector digging its way through various musical genres or a goosebumps-on-her-arms, shivers-down-her-spine club goer. Enamoured with the thought of music and sound as an explosive expression of emotions, Jelena wrote her first music review for the Viennese online platform “Stadtbekannt” in 2013. Over the years, she has ventured deep into the heart of house music in all of its forms until she eventually discovered her sweet spot for deejaying. Her path crossed those of two members of the Fiction crew, Irina and Giles, on a cool summer night on the deck of Belgrade’s magic boat “20/44”. It was one of those nights where time loses its meaning and normal life slips into the background to make space for a shared experience through the energy of a dance floor. Who would have thought that this night would pave the way for a joint collaboration a few years later? Dorian was first introduced to trance in primary school with artists such as Paul Van Dyke, Ferry Corsten, Markus Shulz and many others. His tastes transitioned towards house and techno music by the time he was in college, and developed significantly while living in Koln, Germany and New York during his studies. Going out frequently in New York, he was eventually introduced to the Fiction NYC crew. Compared to many other promoters, he felt their musical taste and vision were completely aligned with his own. Since 2015 Dorian has been host of the radio show on FictionLab, where he has interviewed many talented DJs including Naveen G, Joe Foxton, Krink, David Scuba, The Drifter, Christian Voldstad and Matthias Mathew. He also write reviews for many of the releases that the he, along with the team, agree are noteworthy. His day job is as a Data Scientist at Conde Nast, and as an adjunct professor of mathematics at Columbia University , where he teaches the course Introduction to Data Science in Industry . Previously he was a Data Scientist at The New York Times, and before this, was a research fellow in Mathematics at The University of Cambridge. Born in Colombia and raised in sunny Miami, FL. Nicko was exposed to music production at an early age and immediately started crafting hip-hop beats, later down the road that passion shifted focus into electronic music. He recently embarked on a new adventure and moved to Brooklyn, NY where he continues to expand his music knowledge by either producing, DJ, or writing about music. Starting at an early age, Zach had the pleasure of being introduced to a wide variety of music through his parents and their friends. Artists such as Marvin Gaye, Sade, Bobby Caldwell, The Temptations and Earth Wind & Fire were often on repeat through car rides, lazy afternoons, and house parties. This exposure growing up, is what Zach credits as a catalyst to his passion in searching for and sharing quality experiences and music across a wide range of genres. While in college, Zach spent his weekdays digging for new music and his weekends going to shows in New York City, Washington D.C. and Baltimore. Through these weekends out, he created a network of close friends all based upon the love of music, which guided him to move to NYC after graduation. After becoming active in the NYC music scene, Zach had the pleasure of meeting Gilles and Irina of Fiction, at an event and immediately bonded over a passion for electronic music.